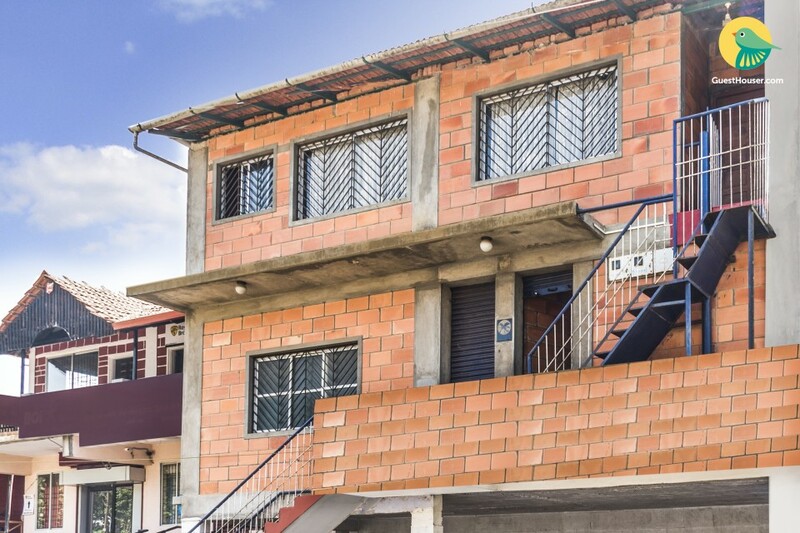 Located just 1.4 km away from Madikeri Fort, this is an offering of a two-bedroom homestay. 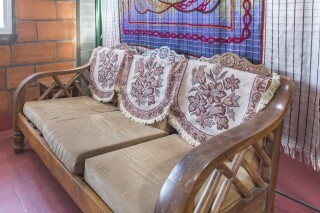 The homestay can accommodate up to six people and is ideal for a group of friends. 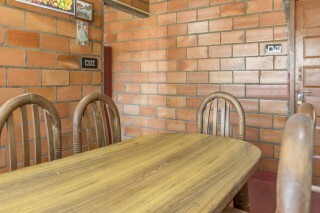 Your Space This homestay boasts exposed brick exteriors that lend it a rather rustic vibe. 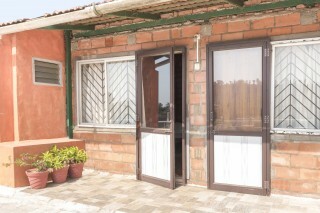 It is furnished to provide modern comfort. 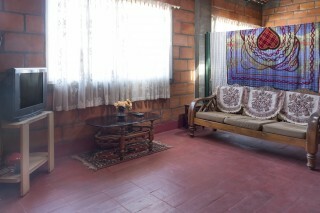 The living room houses a comfy sofa set, a coffee table, and a television for entertainment. 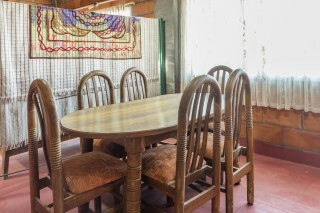 A six-seat dinette is provided in the dining room for mealtime convenience. A functional kitchen is set up to facilitate basic cooking. The rustic vibe is carried into the bedrooms as well. 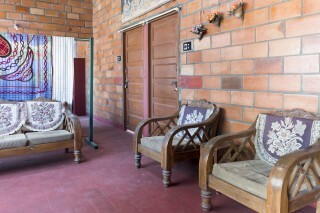 Each room features a raftered ceiling and is furnished with a fluffy double bed and a dresser. The washrooms are tiled and well appointed with western sanitary ware. Guests are requested to provide valid ID proof at the time of check-in. Veg and non-veg food are available. All traditional Kodava cuisines are available, which is chargeable. The guests can use the kitchen if required. Tea and coffee can be provided. Car rental, tour guide, sight seeing and trekking facilities can be arranged, which will be chargeable. 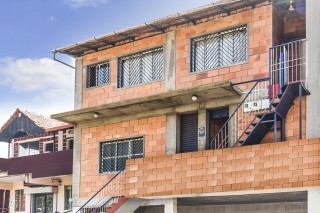 ""Located close to touristic sites ""